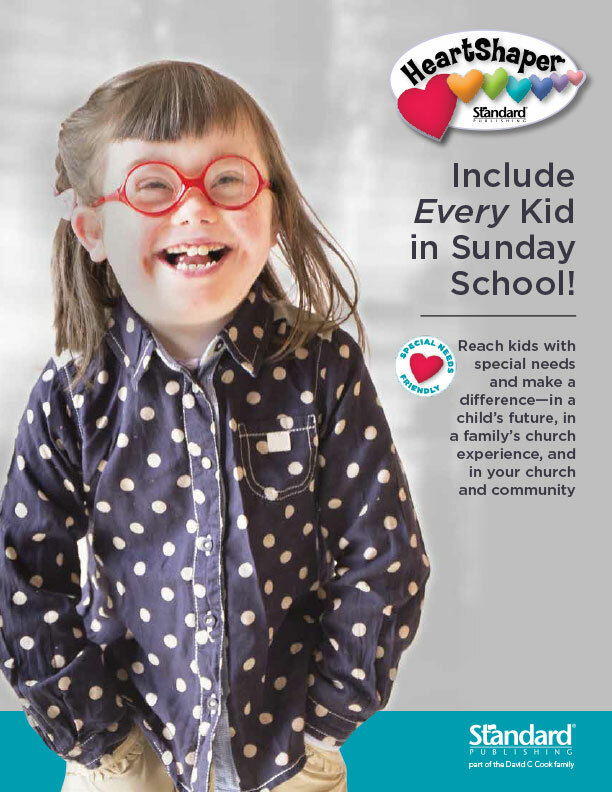 This “how-to” brochure is a great introduction to using HeartShaper’s special-needs-friendly activities and resources. Learn how to view your classroom through a sensory lens. Discover how a Friendship Model enlists buddies to provide extra help for a child with special needs. 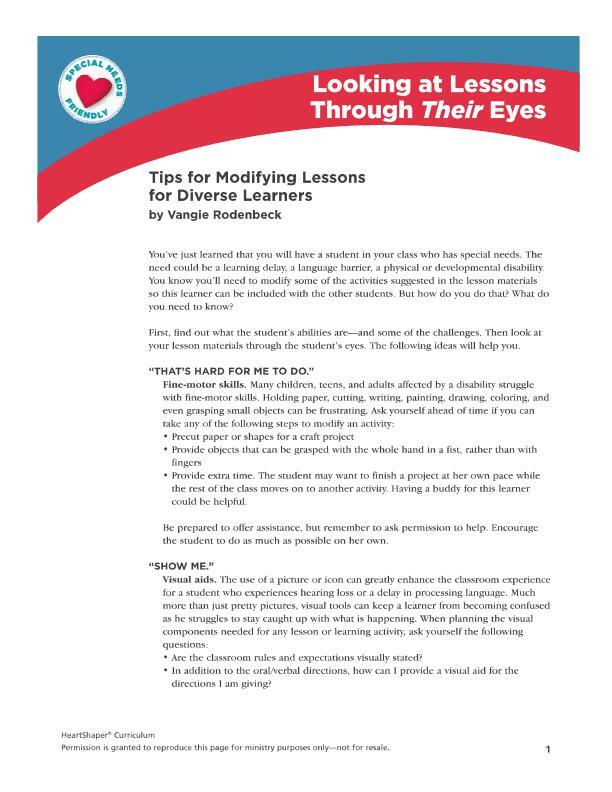 Learn 5 simple ways to modify lessons so that all children can be involved in the learning. Discover 5 great tips for communicating with families of children who have special needs. 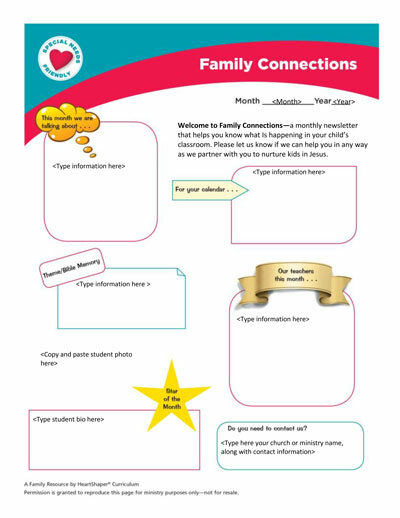 Are you looking for a great way to communicate with parents and caregivers of children who have special needs? Check out the video tip from Amy Hughes, disability ministries coordinator at Christ’s Church in Mason, Ohio. We worked alongside Amy to provide these new modifiable forms for you. Check them out! 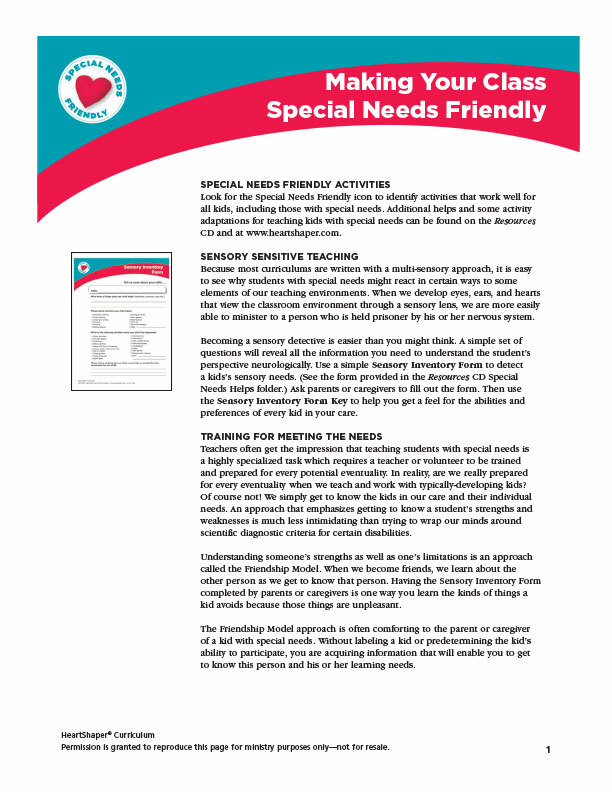 Similar to the quarterly HeartShaper age-level newsletters, this monthly letter will keep parents informed about what’s happening in your children’s ministry for kids who have special needs. Just click and highlight the modifiable areas to add your information. 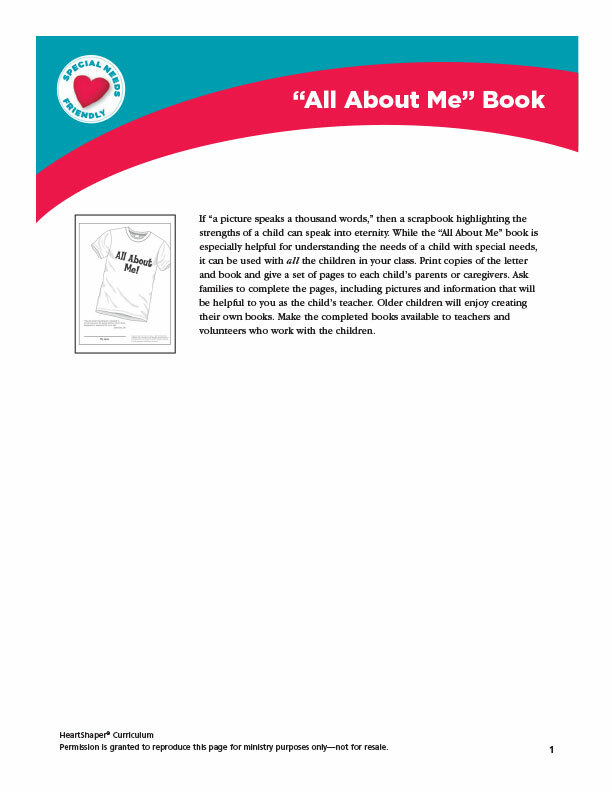 Use this form to gather information about a child’s different abilities and needs. 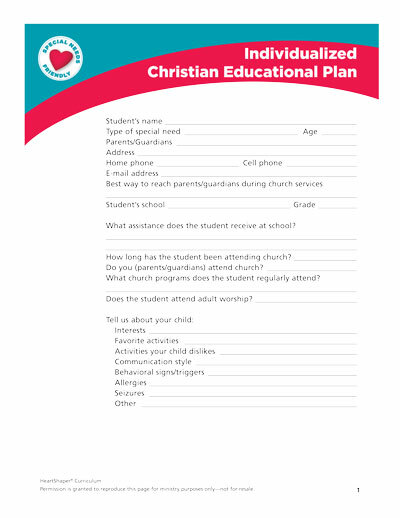 Parents or caregivers can complete the form digitally by clicking in the modifiable areas. Make the information available to teachers to help them plan activities and include every child in the classroom.